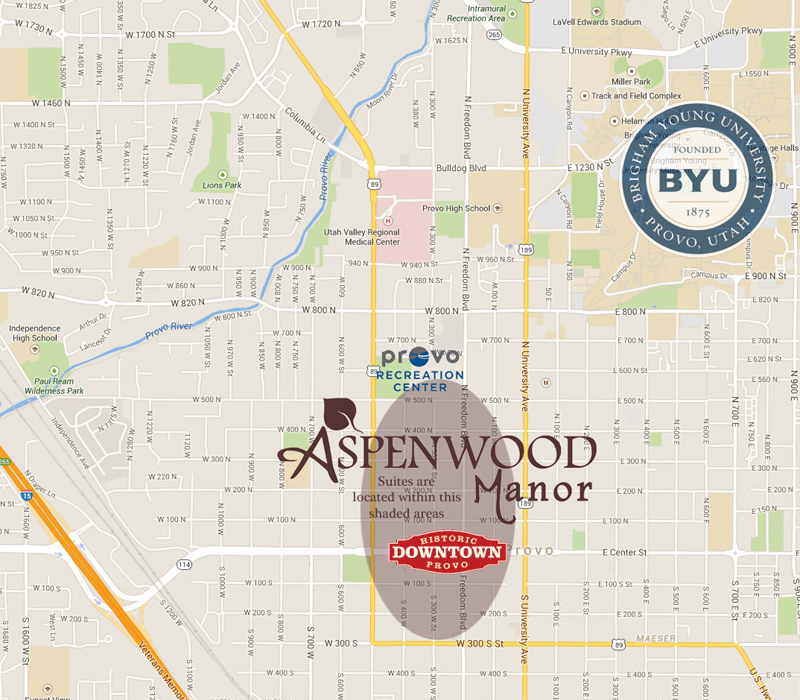 Aspenwood Manor - Book the best vacation rentals in Provo! This number does NOT accept text messages. Current guests will have the manager's text information when they check in. Inquiring with us via email or phone does not guarantee room reservation. Book online or make a firm reservation over the phone to secure a suite. Our suites are located throughout Provo. Please see your reservation confirmation for check-in instructions for your exact address. If you need to send physical mail, you must contact us for our mailing address. Our suites do not accept mail.